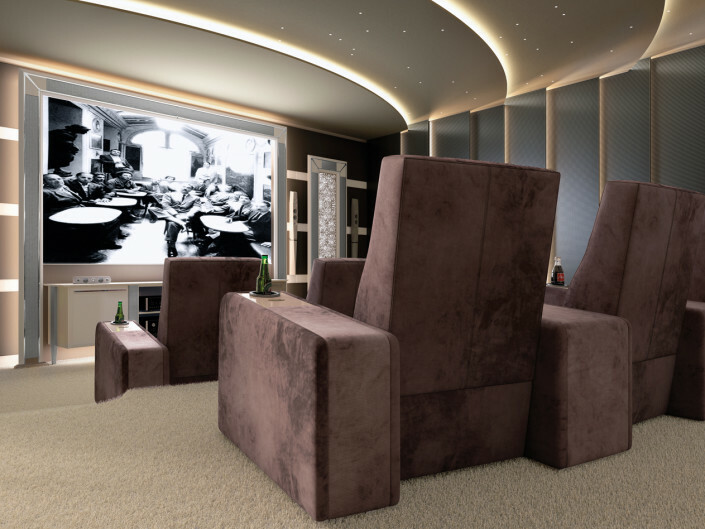 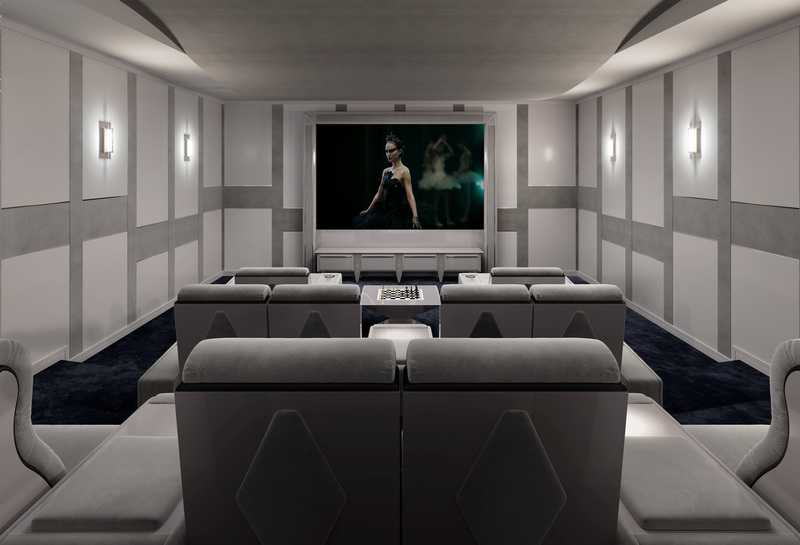 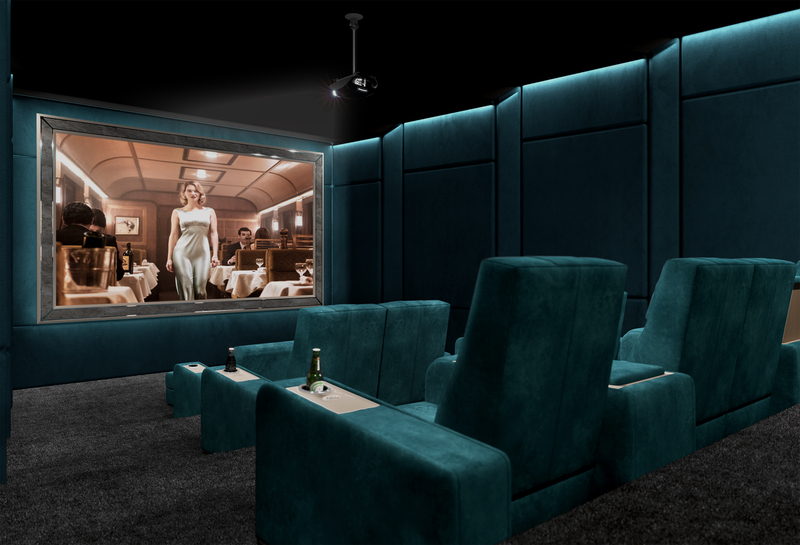 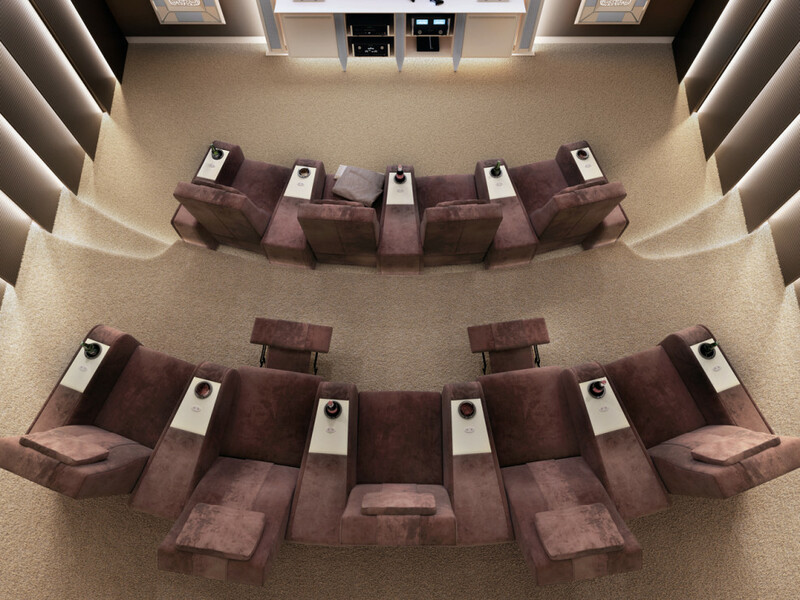 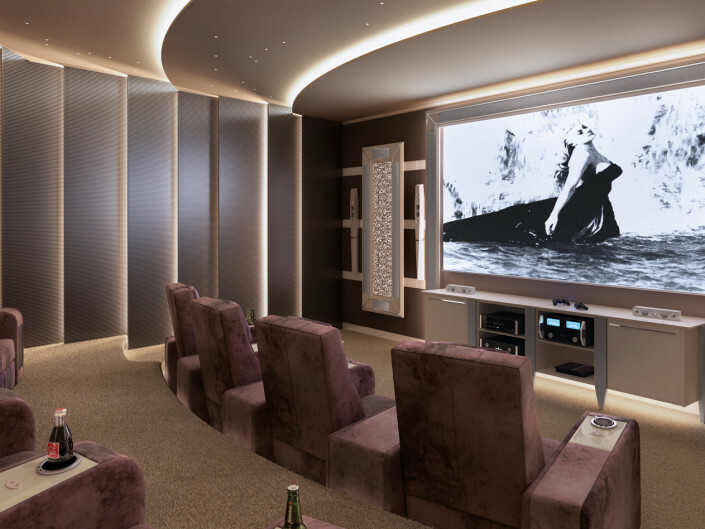 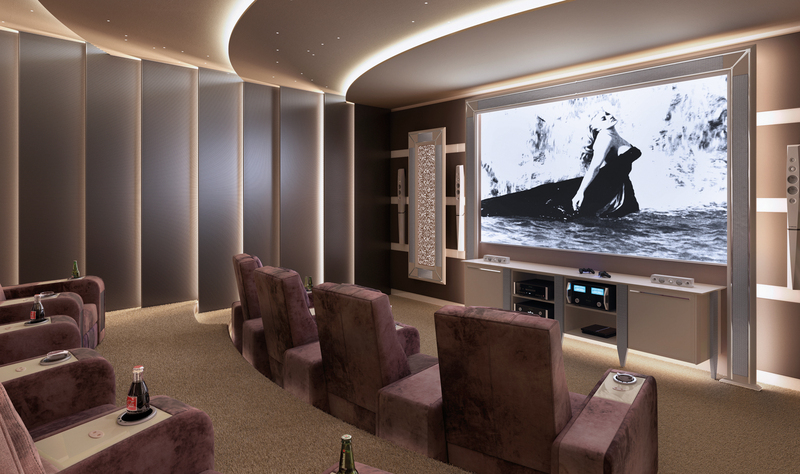 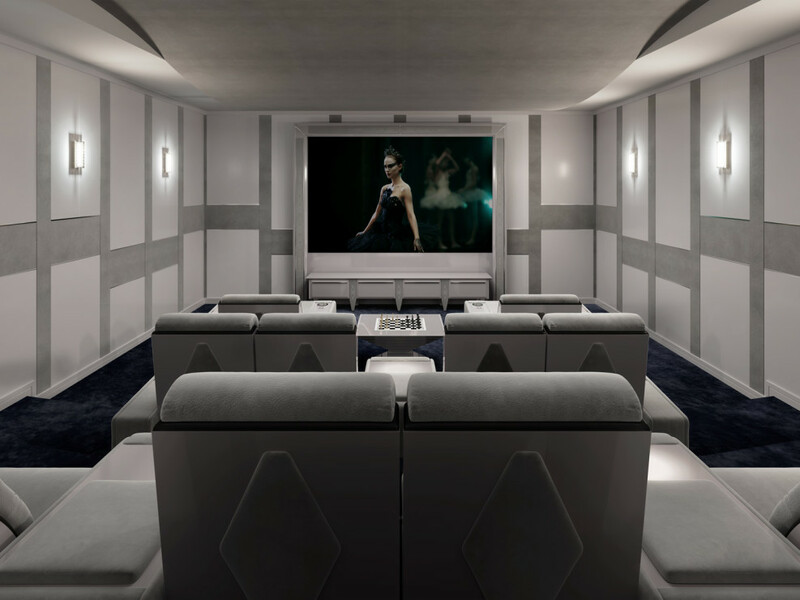 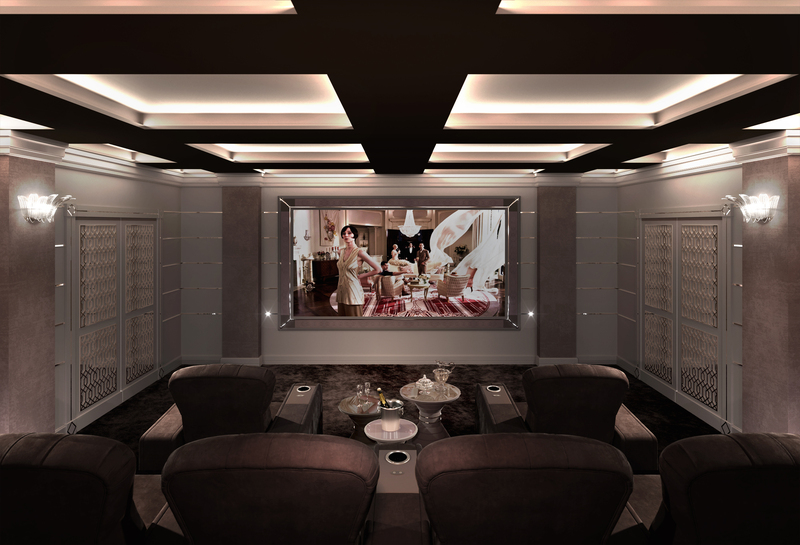 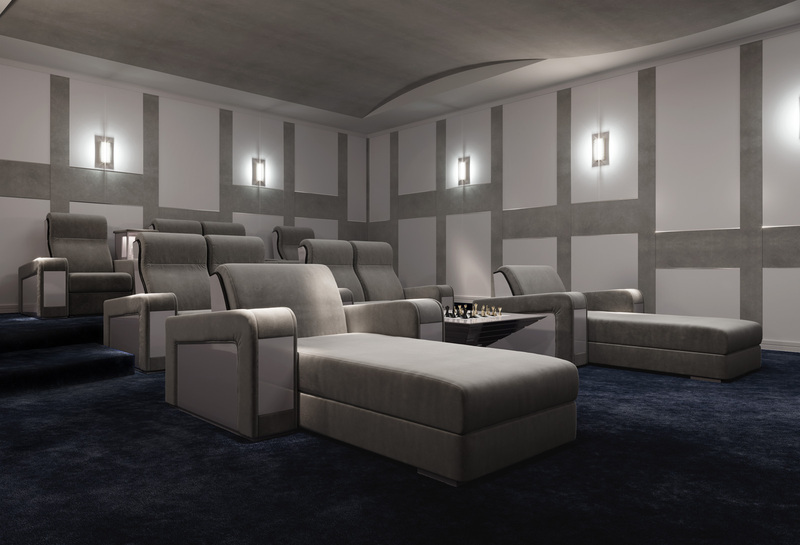 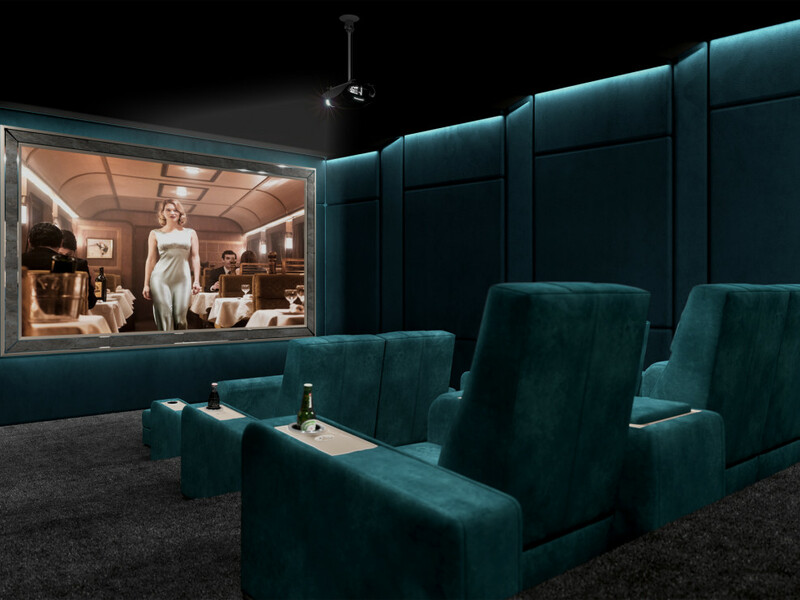 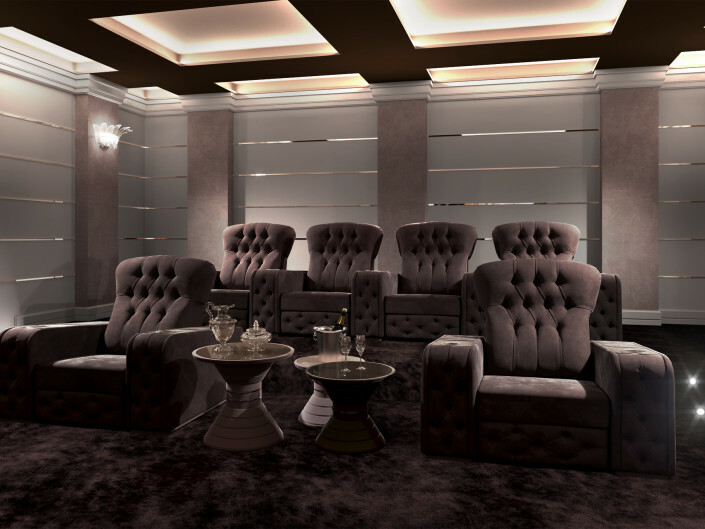 The Home Theater Room is a new way to conceive the home entertainment. 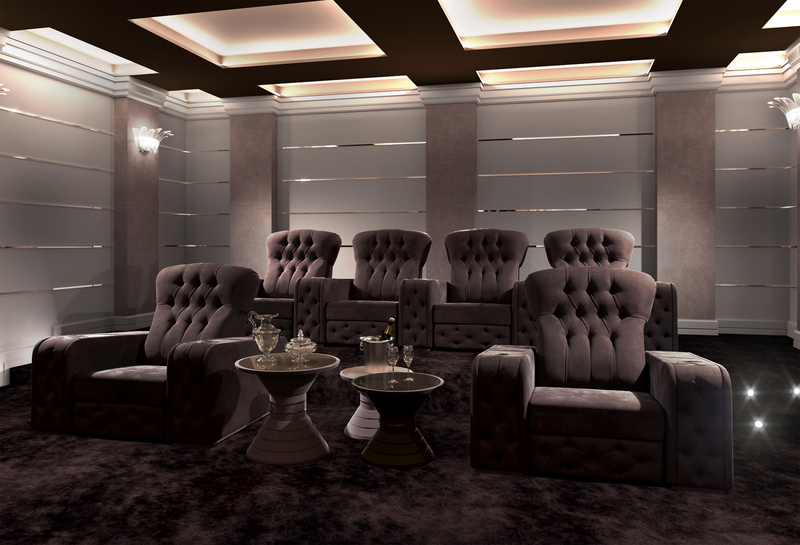 Entirely designed and installed by Vismara, nothing is left to chance, and each detail can be customized. 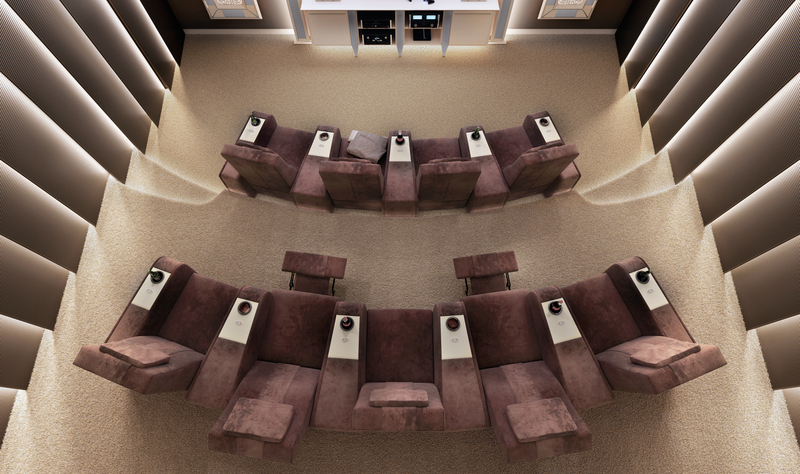 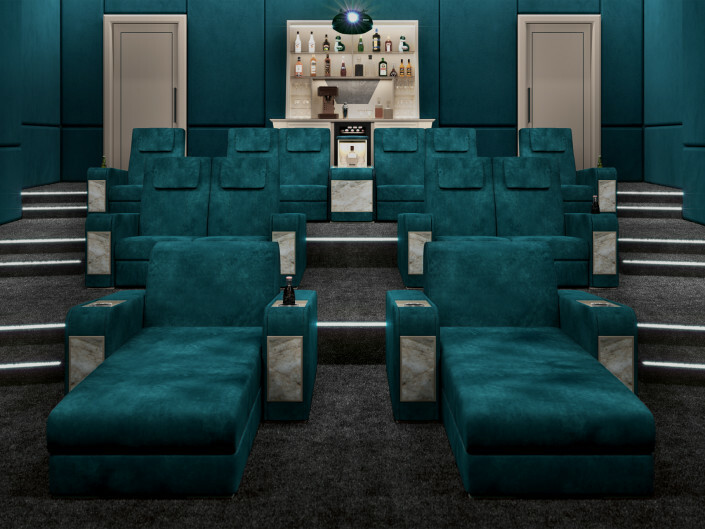 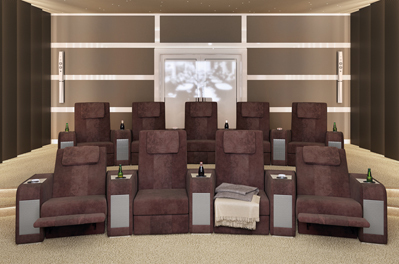 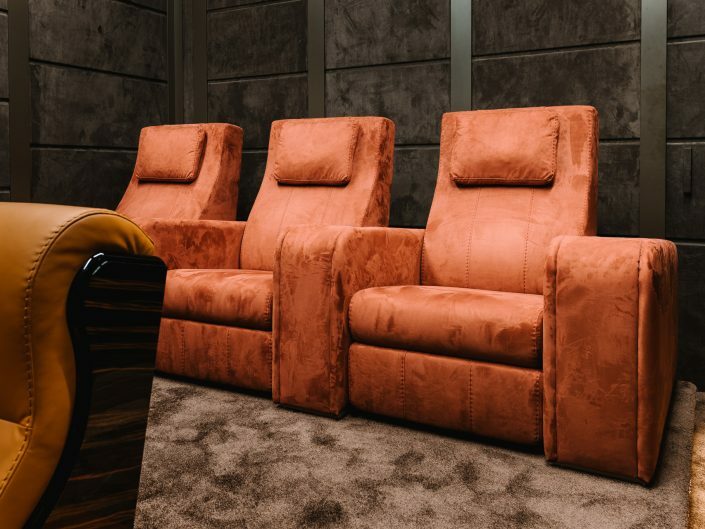 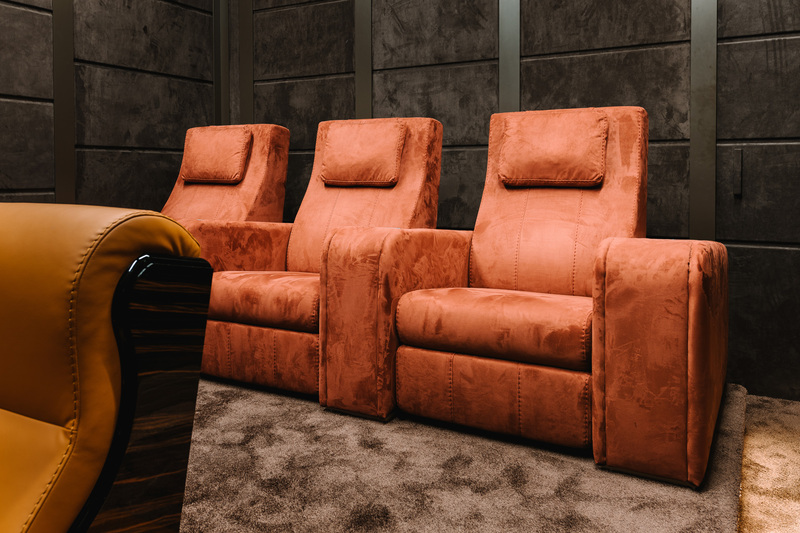 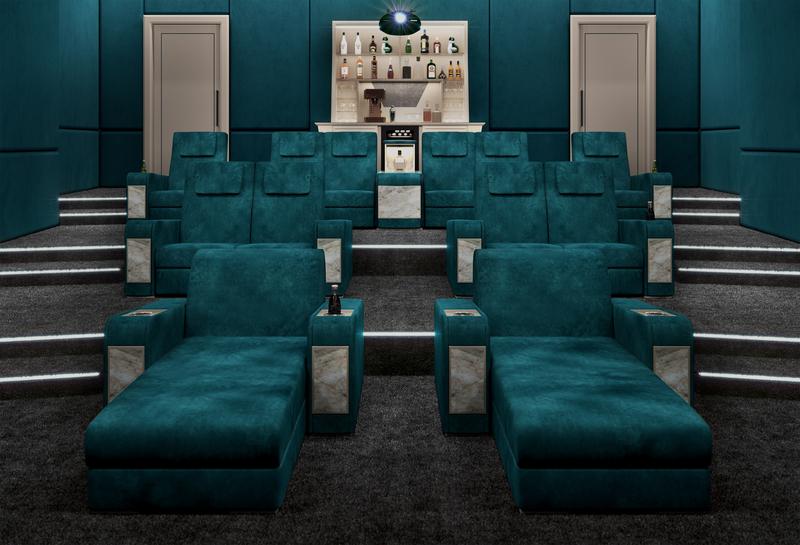 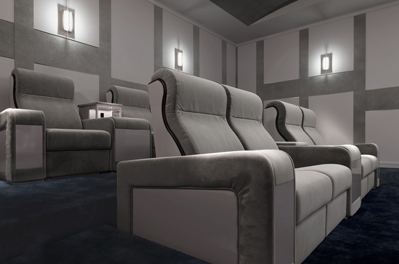 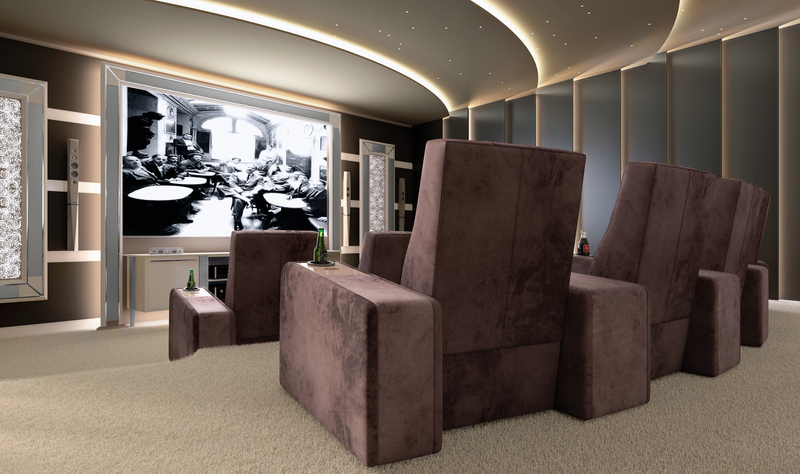 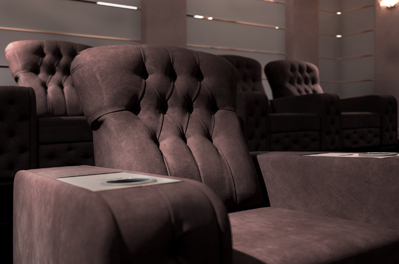 The clients can choose between three styles of theater seating: Luxor, Chest and Comfort. 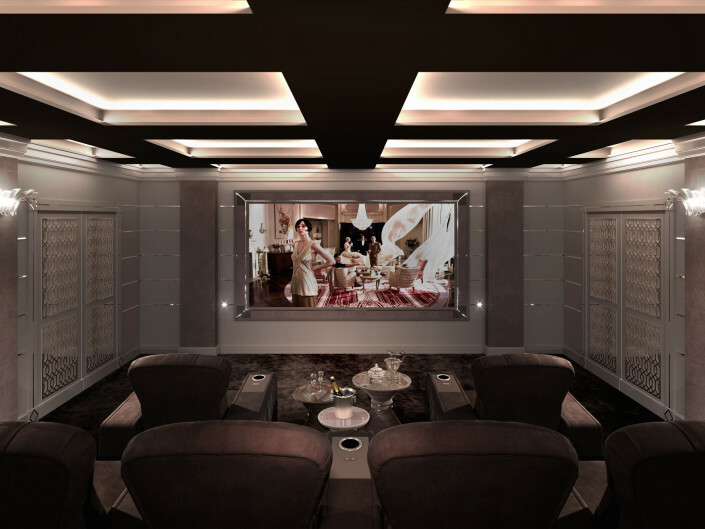 For the film projection has been created a sophisticated portal which can contain up to 226”screen. 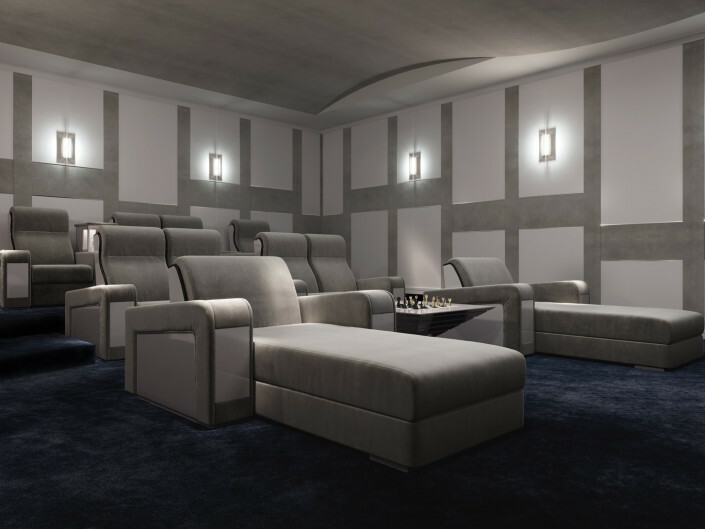 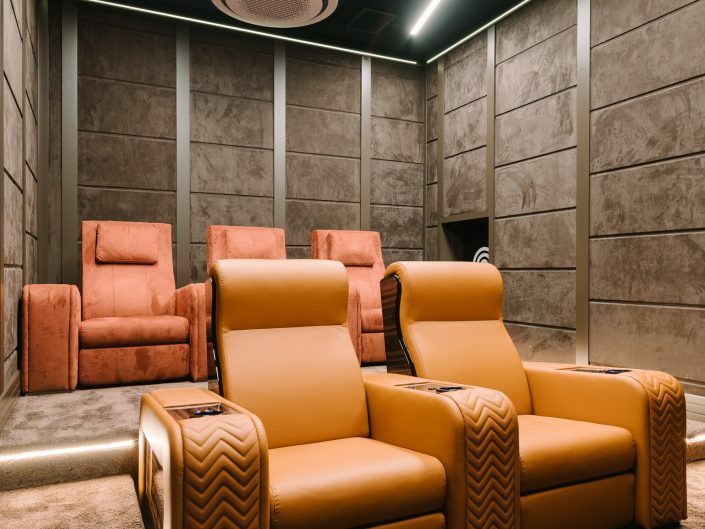 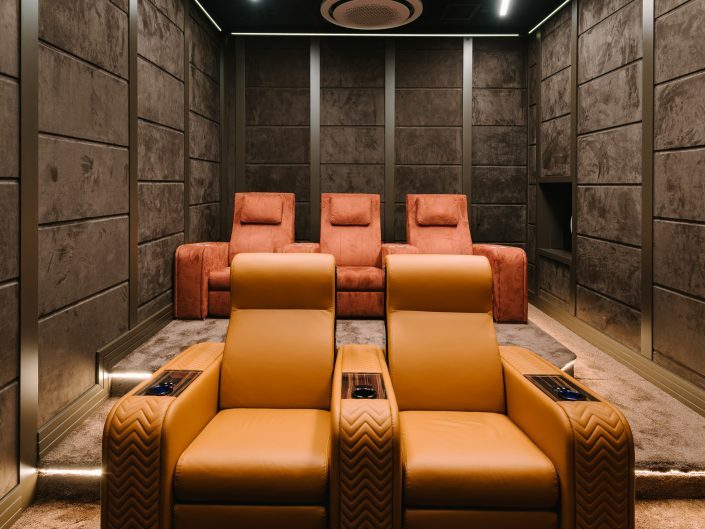 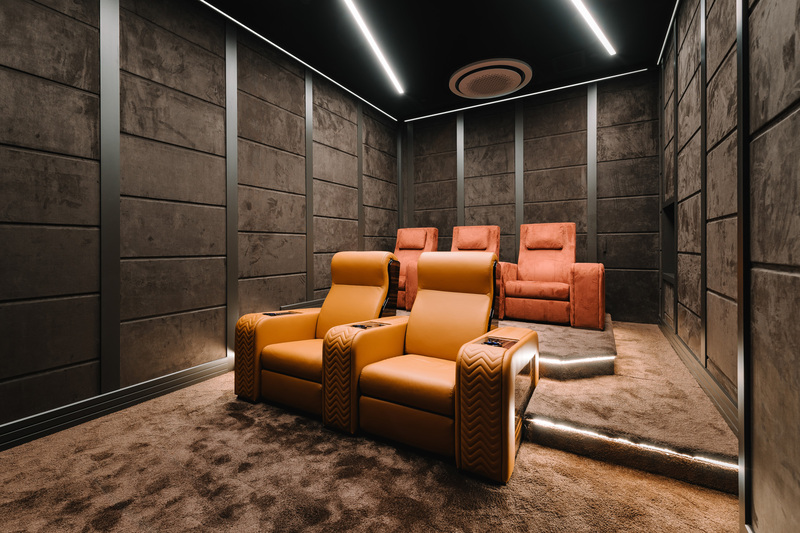 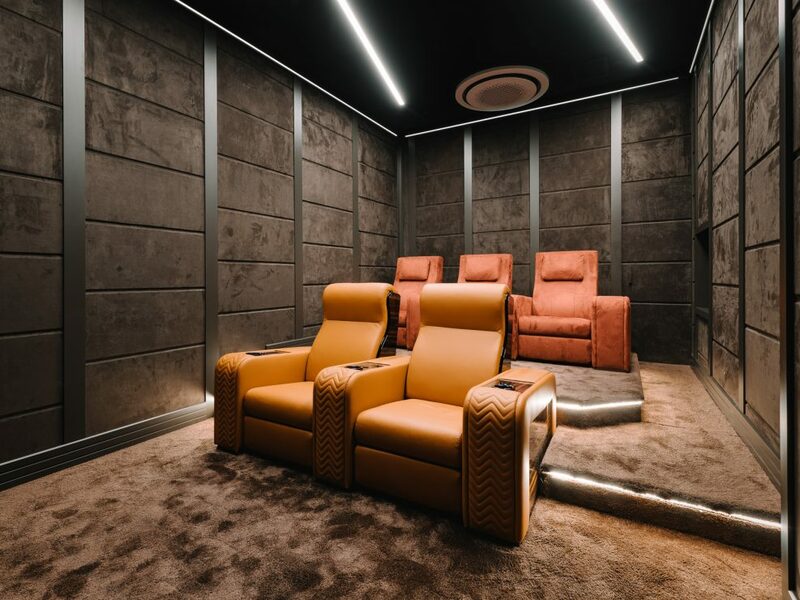 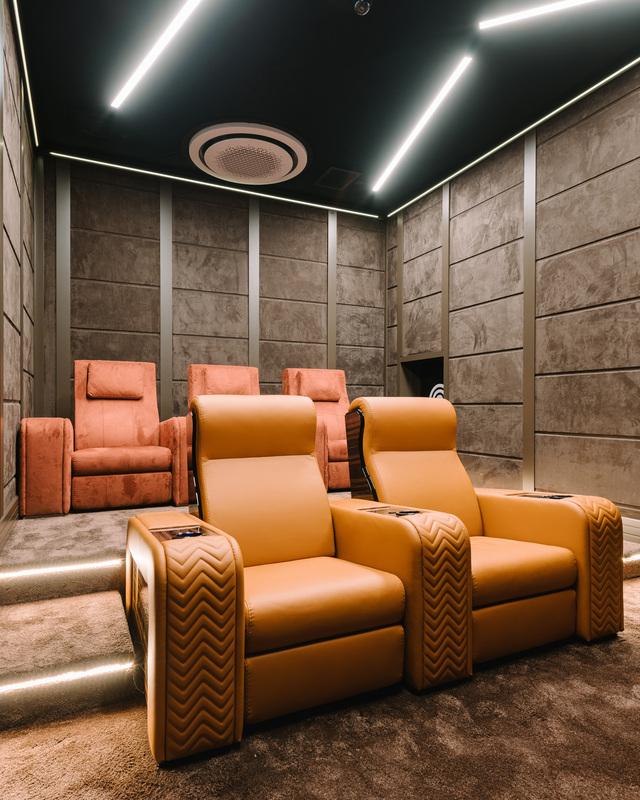 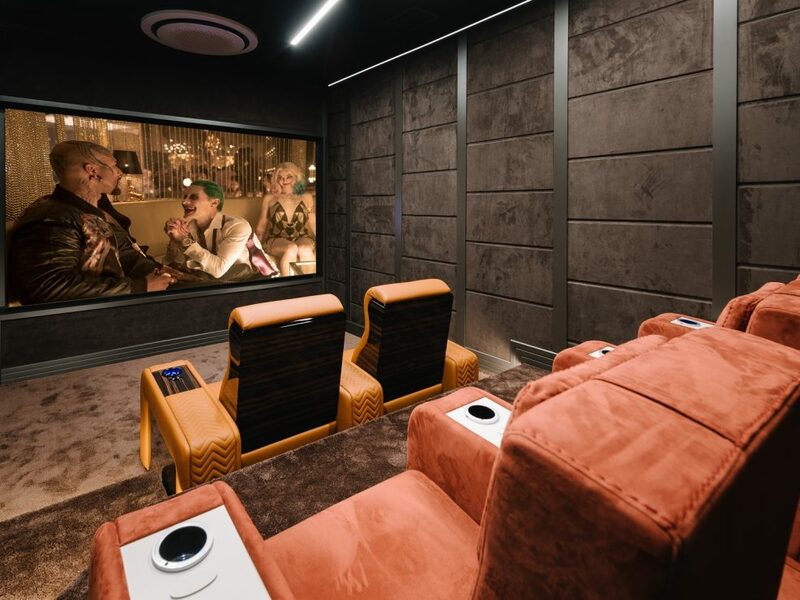 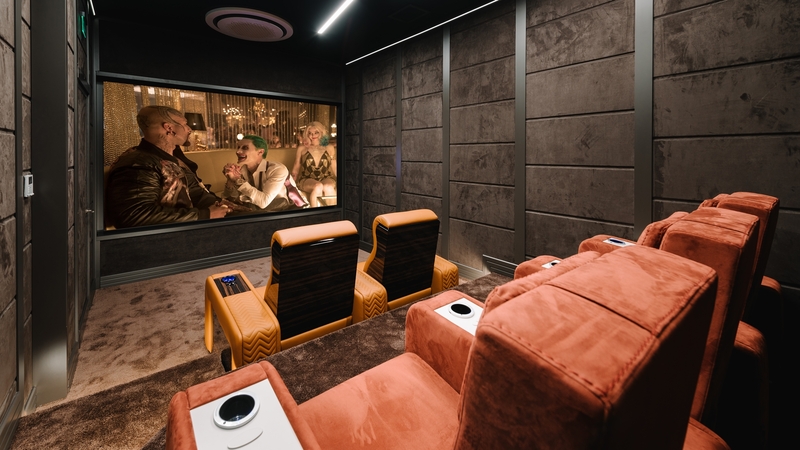 The sound is another key point in the design of home cinema room, in fact Vismara provides elegant custom-made boiserie with built-in sound proofing panels. 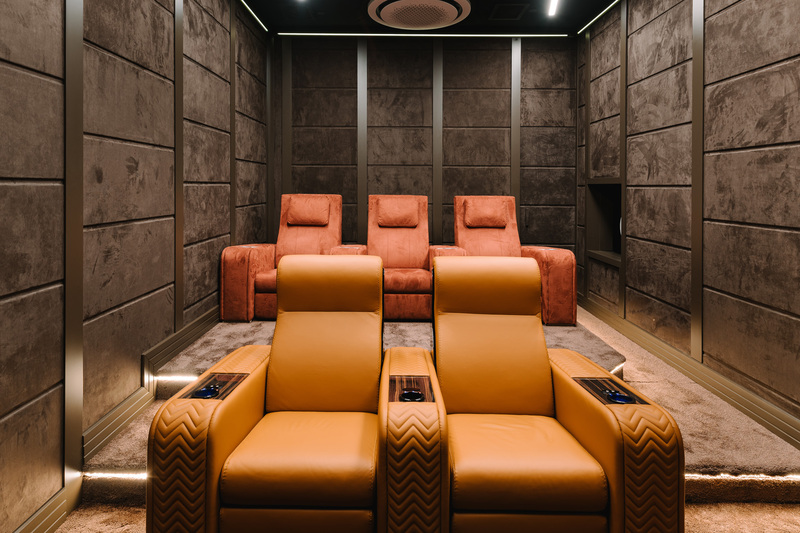 Vismara is able to design turn-key projects studying the best solution in order to satisfy even the most demanding requests, by placing particular attention to the furniture and to the cutting-edge A/V system technology.